My All-Time Favorite Show of the Year! Here we are again. The weather is cooling, pumpkin flavored everything is out, I'm wearing my fingerless mitts in my work room & my sewing machine is whirring. Ahhhh Autumn, how I love you! 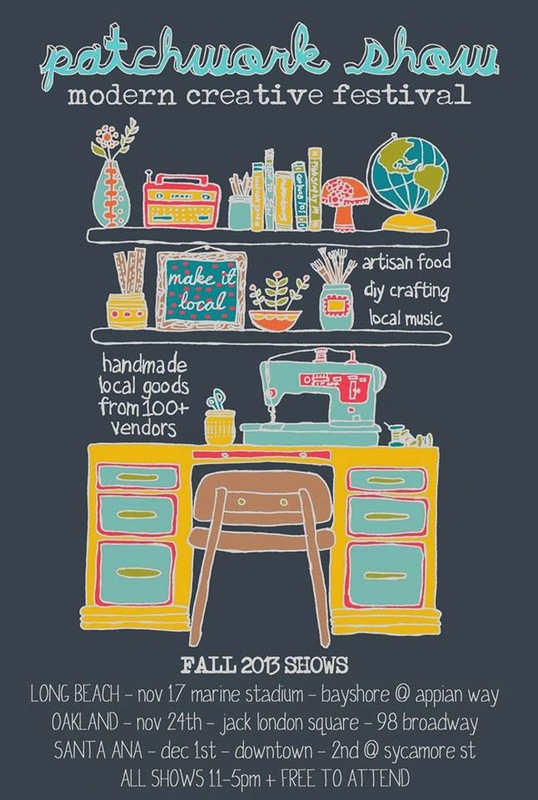 And with Autumn upon us it means that the fall Patchwork Show is right around the corner! Please mark your calendar for this great, free, pet-friendly event! Sunday, December 01, 2013, the streets in downtown Santa Ana come alive for Patchwork!!! Over 100 vendors. All local. All handmade. 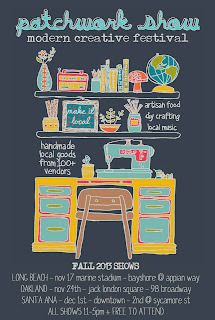 When you shop at a Patchwork Show, you are supporting an individual rather than a corporation. You see amazing, beautiful, bizarre, tasty products & meet some really great people. Like at the Spring show, Lucky Zelda is partnering with SoPa. So don your mittens but be prepared to take in the feel of the islands. SoPa will have their beautiful earrings, belts & dresses all made here in Orange County. Take a look at their Facebook page for a sneak peak. See you there! It's only 1 month away!